Senior Barnstable High School Football Captain Jack Pipatti was honored prior to kickoff at last Friday night’s football match-up between the Red Raiders and the Bridgwater-Raynham Trojans. 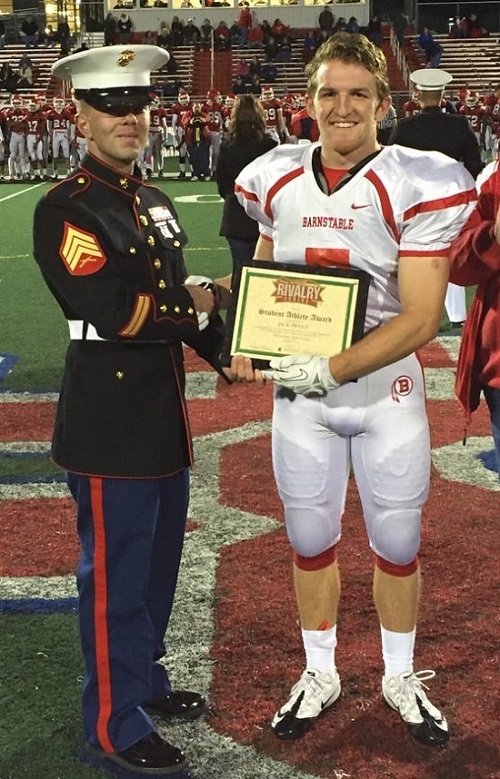 Captian Jack Pipatti was honored with an award and scholarship by the United States Marine Corps for earning the highest grade point average of all senior football players at Barnstable High School. He is currently ranked #2 in the BHS Class of 2016.